I finally found my red rose. It was hiding in the back of the garden, so I am sending it to you. I know that you would probably want it on a Monday when things can be a little down. I always feel that you can get through anything on a Friday, unless of course you have to work on Saturday and/or Sunday. 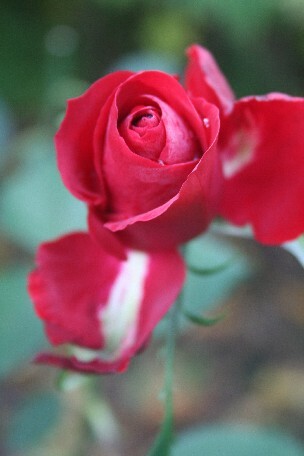 Then again, if you love what you do, you may not need little perks like roses and blue sky, anytime!!! I love what I do; but every once in a while, I need to stand back and put things in perspective. You know - get a coffee, go for a walk, smell the roses and then I come back refreshed. There was a hoarfrost this morning and most of the flowers, close to the ground, were lost. Those higher up and hardier were spared. This rose was spared. I also noticed a few promising buds, that might open in a week or two, if the weather doesn't become too severe. Enjoy the last roses of summer. Winter is long and white. 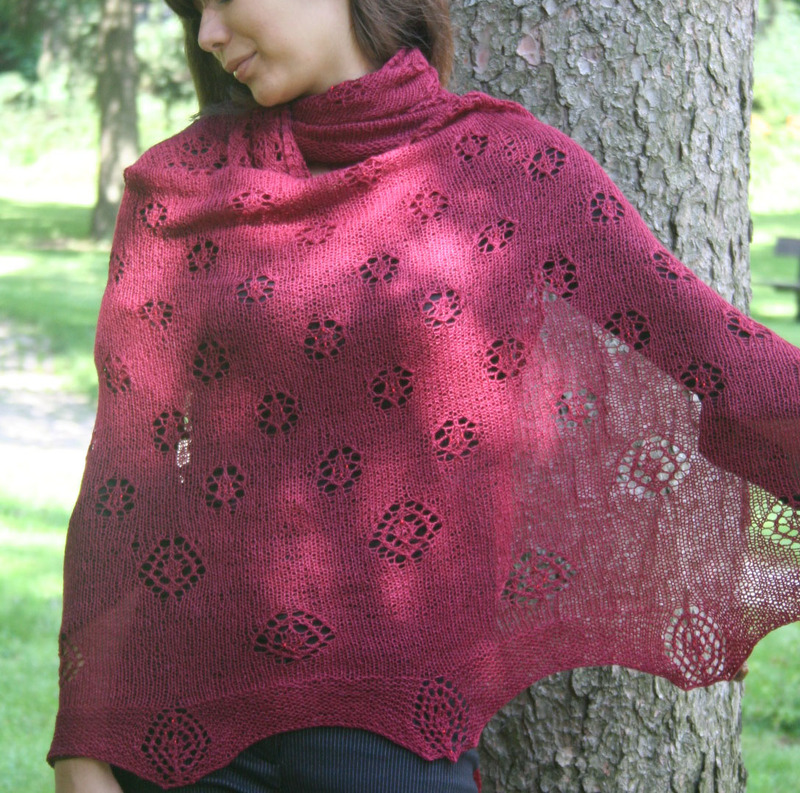 Here are some roses in lace - Red Rose Shawl.